If the traditional soap from Aleppo in Syria is famous worldwide, making soap from olive oil has in fact been prevalent in the whole Levant region for hundreds of years. The cities of Tripoli in Lebanon and Nablus in Palestine also contribute to this rich tradition with a well-earned historical value. 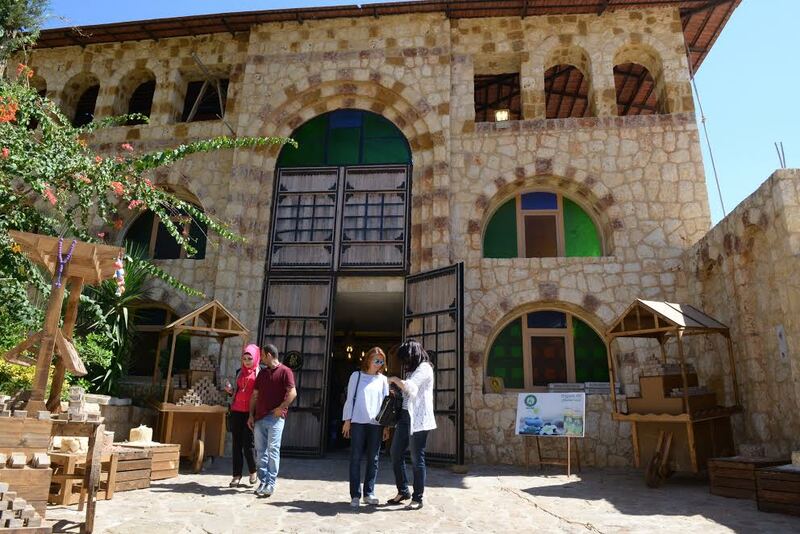 Let us visit three of Lebanon’s most popular soap factories: Bader Hassoun Eco-Village, Sharkass Soap and Senteurs d’Orient – in addition to Sidon’s prominent Soap Museum. “Syrians have been making olive oil soap since the Roman times, when Syria’s third century Queen Zenobia bathed with it,” states Julie Angus’ in her 2014 book Olive Odyssey: Searching for the Secrets of the Fruit That Seduced the World. When the Crusaders carried with them Aleppo soap back to Europe in the 11th century, soap production spread throughout the Mediterranean coast. 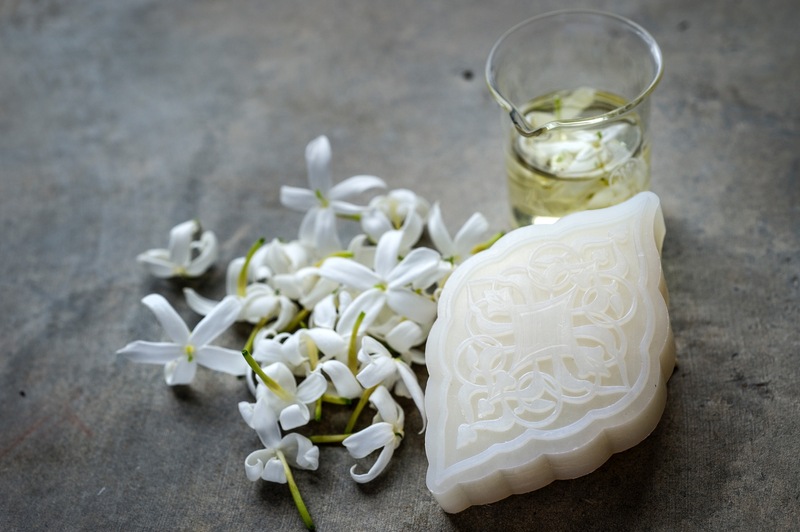 In Lebanon, the tradition is believed to have become popular in the 14th century, when Egyptian rulers diffused the soap making and selling processes in the northern city of Tripoli. Since then, soap making is often practiced as a family business. Women usually come up with the natural recipes, whereas men execute them. The basic recipe is rather simple: olive oil is boiled and stirred for several hours. Caustic soda and salt are often used to reduce the needed boiling time. 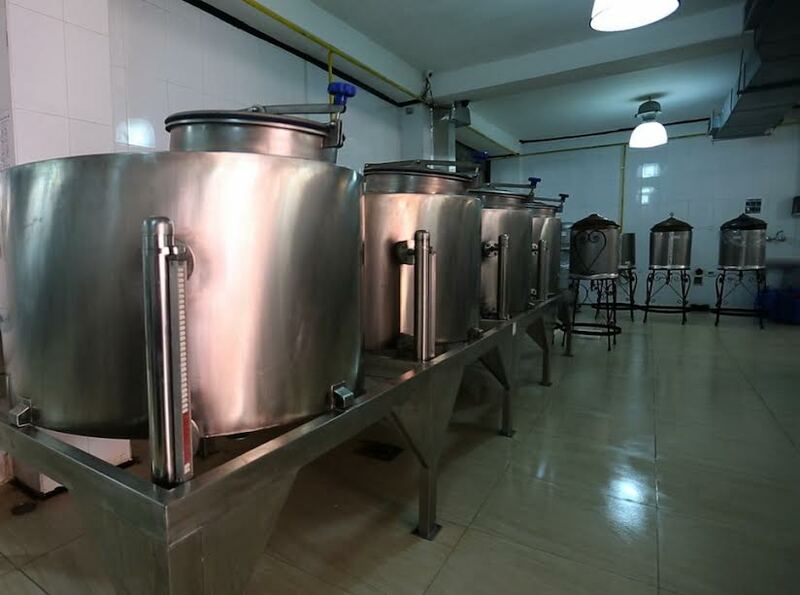 Then, natural scents and/or specialized colorants are added. Once the mélange thickens, it is shaped into blocks or circles. Afterwards, it is left for some weeks to air-dry. A few years ago, traditional soap was popularly considered as too old-fashioned compared to the miscellaneous processed hygienic products. However, with all the hype organic products are receiving today, traditional soap is once again reclaiming its popularity. Soap making can be compared to culinary arts, according to Dr. Bader Hassoun, owner and founder of “Khan Al Saboun / Bader Hassoun Eco-Village”, in the Koura region, North Lebanon. He explains that the eco-friendly specialized village comprises different sections: from gardens, laboratories and production units to warehouses, administrative offices and family houses. A common objective prevails along the entire village: producing the handmade Khan Al Saboun products, which include soaps, lotions and body oils. 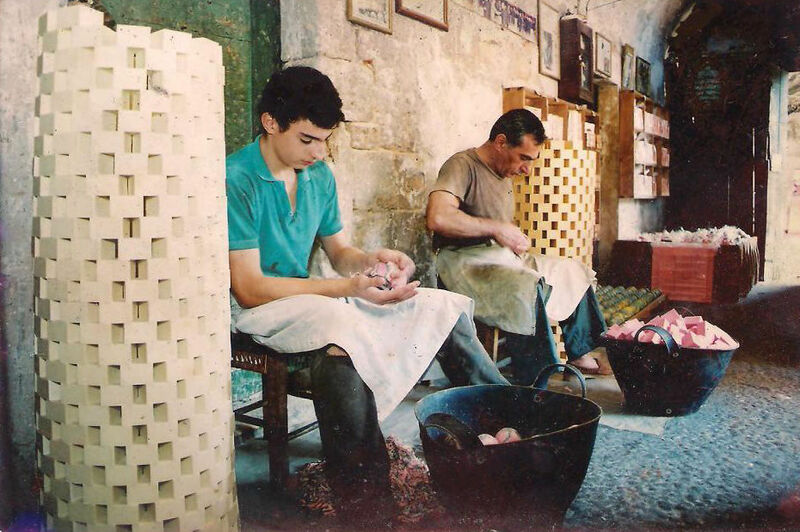 Hassoun’s story with soap making goes back to the 15th century when his ancestors started to produce soap in 1480. The family tradition stopped 600 years later, from 1930 to 1985, until his journey with traditional soap debuted. Sharkass has cautiously followed his ancestors’ steps, as he affirms that soap production techniques have not changed throughout the years. The only different detail about soap is its sophistication and adornment. “Traditional soap used to be either a white or a green rectangle. 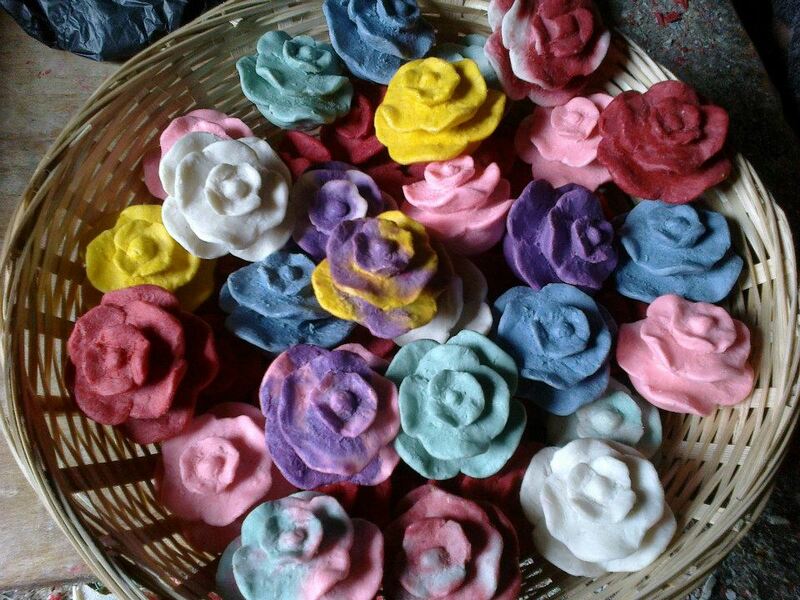 My grandfather changed this, coming up with different forms for the soap and coloring it.” The same colorants that are used in ice cream and candies help Sharkass embellish his soap pieces. Sharkass started working with his father in 1967, at the age of 13. He is now passing on his craftsmanship to his children: his son helps him cut the soap, whereas his three girls shape it as circles, flowers, grapes… His main task is “cooking” the soap. However, his cooking skills are special ones, as he only uses a very low heat: “It is called the cold method”. “Our products are distinguished with their form, smell and ingredients,” confirms Nayla Ziade, Managing Director of Senteurs d’Orient, whose atelier and headquarter are in Dekwaneh, in the Metn region in Lebanon. “Our ingredients are 100% natural,” adds Ziade. 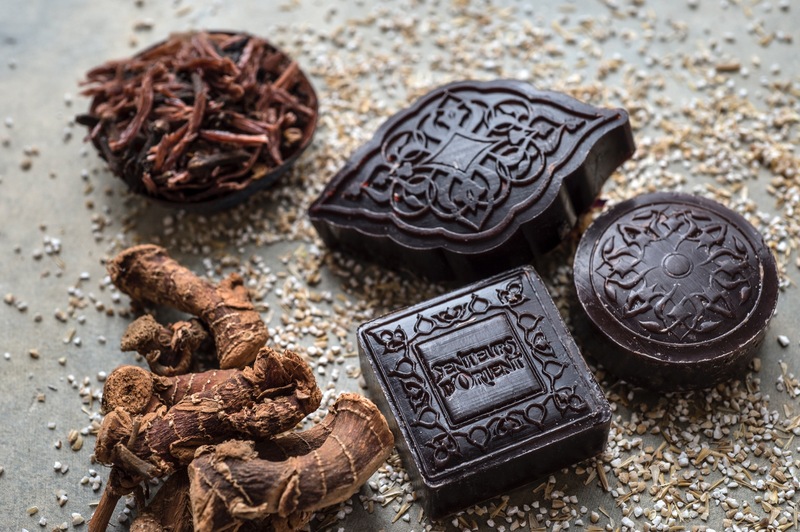 “While traditional soap is usually made only of olive oil and some minor additions, we make sure to use several other ingredients, such as Shea butter and vitamin E.” According to Ziade, Senteurs d’Orient focuses on the soap’s feel on the skin and its benefits. Senteurs d’Orient is a mother-daughter story that debuted with Hana Akkary in 2000 and continues today with her daughter, Sarah. 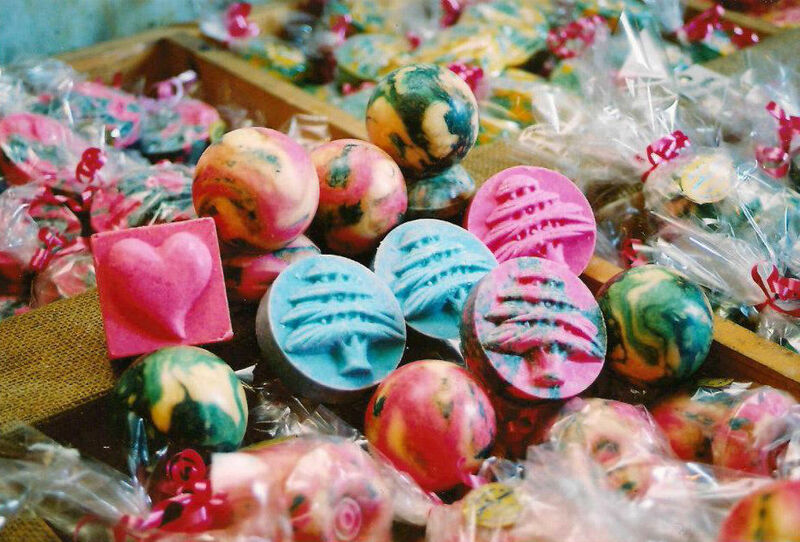 They have recently started to export their soaps to the global market, such as the U.S., Japan, and France according to Ziade. 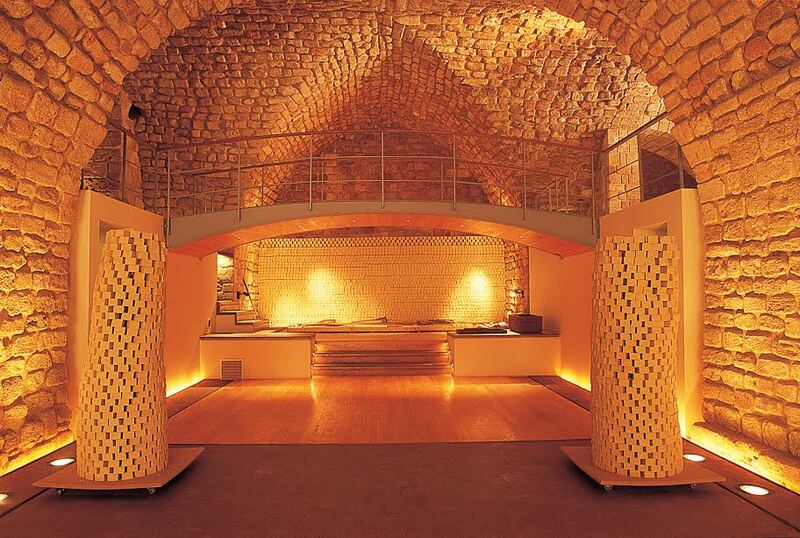 A must visit on this subject is, of course, the Soap Museum in the city of Sidon. Restored in 2000, the museum used to operate as a soap factory from the 17th century till the year 1975. The building itself dates back to the 13th century and it hasn’t lost any of its charm. 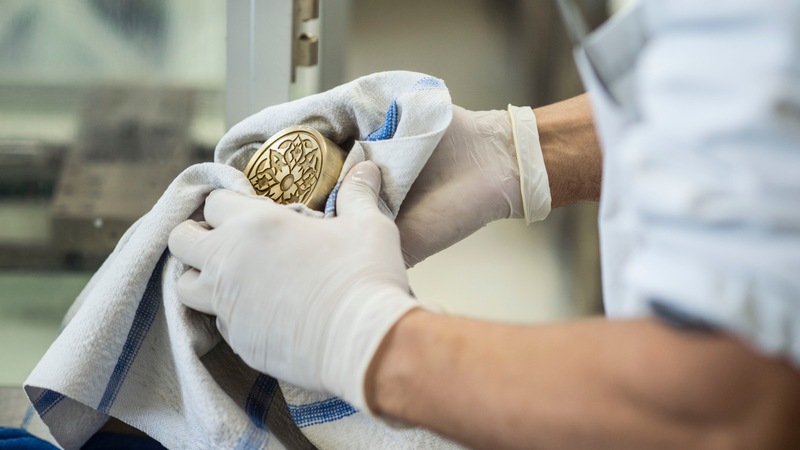 According to manager Dana Moussa, the museum includes a wide soaps’ collection and a boutique that features different handcrafted products from soaps of course to blown glass and crochet. Moreover, an informative video introduces visitors to traditional soap making techniques. “Almost all of the tourists who come to Sidon make sure to pass by our museum,” confirms Moussa. But even though tourists constitute the highest percentage of the visitors, they are not the only ones interested in traditional soap production. Lebanese groups and school students are fascinated by the museum’s soaps as well. The number of visitors can vary from 20k to 30k depending mainly on the region’s political stability. “Last year, that number amounted to 33k,” specifies Moussa.